Franchising is a business model that combines the best aspects of sole proprietorship and Corporate America. It can be described as a "hybrid" model that fills the gap between working for somebody else (whether a large corporation or a small business) and working for yourself. Franchising is not an industry in itself. Rather, it's a way of doing business that can be applied in almost any sector. Today about 3,400 established franchise brands operate in 29 industry sectors spread across more than 225 subsectors. About one in seven businesses in the U.S. is a franchise. Franchising has two main forms. In product/trade name franchising, a franchisor owns the right to a name or trademark and sells or licenses the right to use that name or trademark. Business format franchising, the type discussed in this guide, involves a more complex relationship in which the franchisor provides franchisees with a full range of services and support, and franchisees sign an agreement to conduct operations in conformity with specific rules laid out by the franchisor. According to the International Franchise Association, "Franchising is a method of distributing products or services. At least two levels of people are involved in a franchise system: 1) the franchisor, who lends his trademark or trade name and a business system; and 2) the franchisee, who pays a royalty and often an initial fee for the right to do business under the franchisor's name and system." Franchising is a team effort. For any franchisor to succeed, the vast majority of its franchisees (all, ideally) must operate profitable individual franchise units over the long term. A brand's success depends on an ongoing partnership between franchisor and franchisee. One of the most common sayings in franchising is: "Franchising means working for yourself, but not by yourself." For many, franchising's greatest appeal is the opportunity for an individual to control their destiny and secure their future. 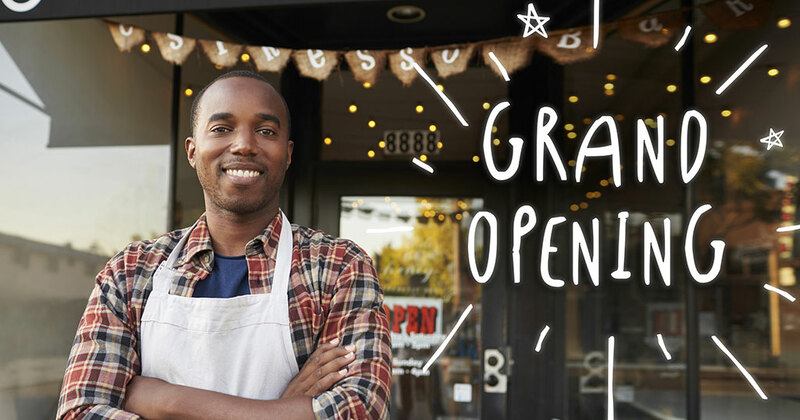 In its earlier days, franchising was a way for an independent-minded business person to "buy a job" — a sandwich shop or a home repair service, for example, and showing up every day as a hands-on operator. In recent years, the franchise model has caught on as an attractive business opportunity for wealthier individuals and investors who buy many units at once; or who buy the rights to develop a geographical area or "territory" and develop a certain number of units within a specified time frame. These multi-unit owners, area developers, or area representatives (some of whom also recruit new franchisees and support them within their territory) are part of a growing trend in franchising, and account for more than half (53 percent) of all franchised units in the U.S. today. "Multi-brand" franchisees are also on the rise. These franchisees operate different brands under a single organization, creating efficiencies, economies of scale, and market penetration to increase sales and profitability. The two primary reasons successful franchisees seek additional brands are: 1) they have "built out" their territory for their current brand; and/or 2) they are seeking a new, complementary brand to smooth out the ups and downs of business or seasonal cycles. Franchisors, too, are combining several different brands under one roof, and frequently offer discounts to current franchisees who take on a second (or third) brand. "Co-branding," in which a franchisee operates two brands from the same location, is another ongoing trend. Co-branding saves on real estate or leasing costs, allowing more profit per square foot and often balancing out day parts (breakfast, lunch, dinner). An increasing number of franchisors now offer several different brands, and often provide incentives to franchisees to co-brand. Much of what prospective franchisees are seeking to buy in a franchise brand is peace of mind. They want to know, with as much certainty as possible, that if: 1) the franchise opportunity is presented accurately and realistically by the franchisor; 2) they take the time to perform "due diligence" by speaking with current franchisees, reading the Franchise Disclosure Document (FDD) carefully with the aid of an experienced franchise attorney; 3) after comparing the brand and sector under consideration with the competition (franchised or not); then 4) their chances of making money and building a successful business are better than if they started a business from scratch. For those who investigate further, the answer is clear: they can make more money faster through franchising than on their own; and they realize the potential for a greater long-term return on their investment as well – despite paying an up-front franchise fee and a percentage each month of gross sales for "royalties" and a company-wide advertising/marketing fund. Franchise fees range from a few thousand dollars to tens of thousands, depending on the concept, while royalties generally run 5 to 8 percent and the marketing/advertising fund an additional 1 to 3 percent. Legally, franchisees do not "own" the franchise they "buy." They are granted, or awarded, a license that gives them the right to operate and manage their franchise business. However, franchisees do own the assets of their company, and as long as they adhere to the franchise agreement they have specific rights under federal and state law. Franchisees can form franchisee associations that can participate in corporate decision-making if the franchisor is amenable, or band together to oppose decisions they see as detrimental to their operation and the brand in general.